From Stryn, drive Hwy. 15 up to the highest point, where Hwy. 63 (to Geiranger) forks left. (This road is only open in the summer.) Just after exiting the last and longest tunnel (about 4.5 kilometer), you will find this fork with a parking area in winter. This location is N62.01342, E007.39735, elevation about 940 meter. 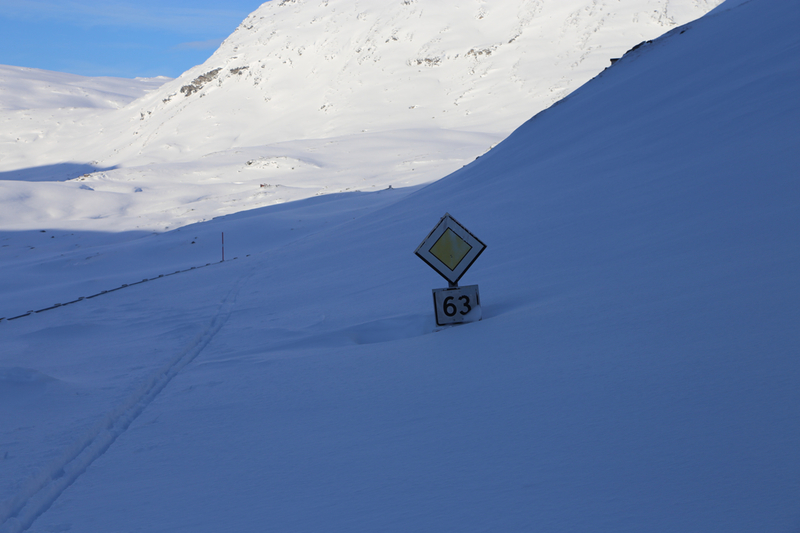 In summer, one may turn left and drive to near Djupvatnet, the trip will then be a bit shorter. Ski along the closed Hwy. 63. 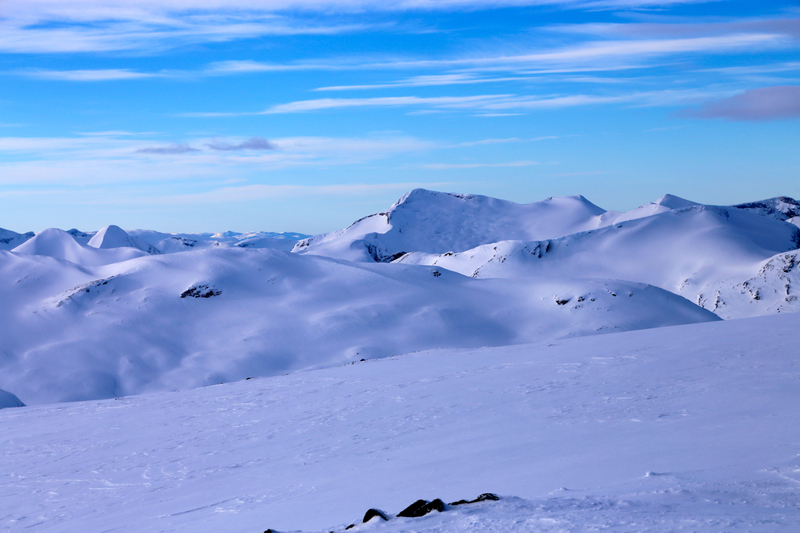 Make sure there is no avalanche danger from above on the right. If this is the case, take a route more in the middle of the valley (further left). 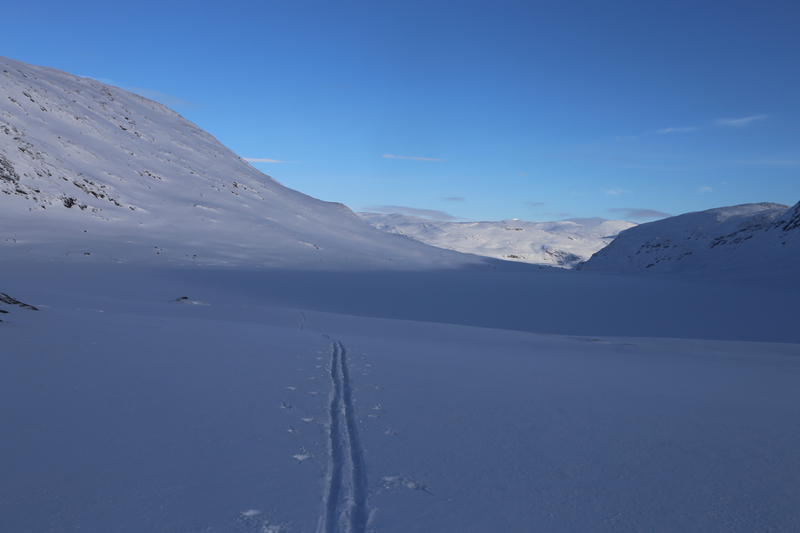 Before lake Djupvatnet, ascend right to the 1150m saddle between Stavbrekknovi and Rundegga. From here you see the mountain directly across the lake. Next, cross the pretty large lake, Kolbeinsvatnet, on a north-east direction. 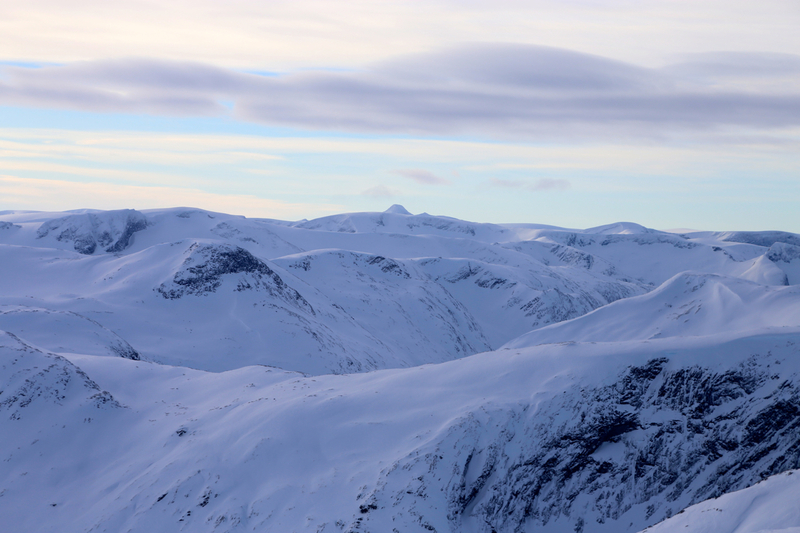 Ascend north-east towards Storhaugen and gain the broad, somewhat broken east ridge. 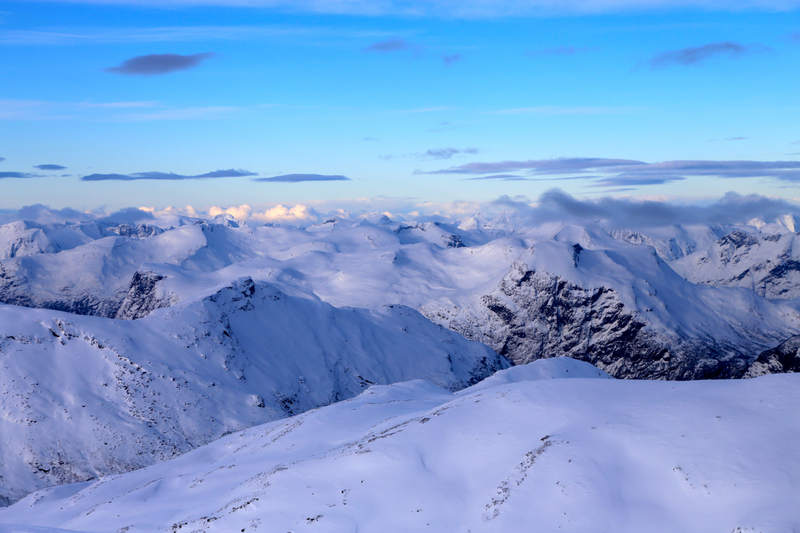 Higher up, traverse left and gain more gentle terrain. Continue along obvious and easy slpes to the summit. 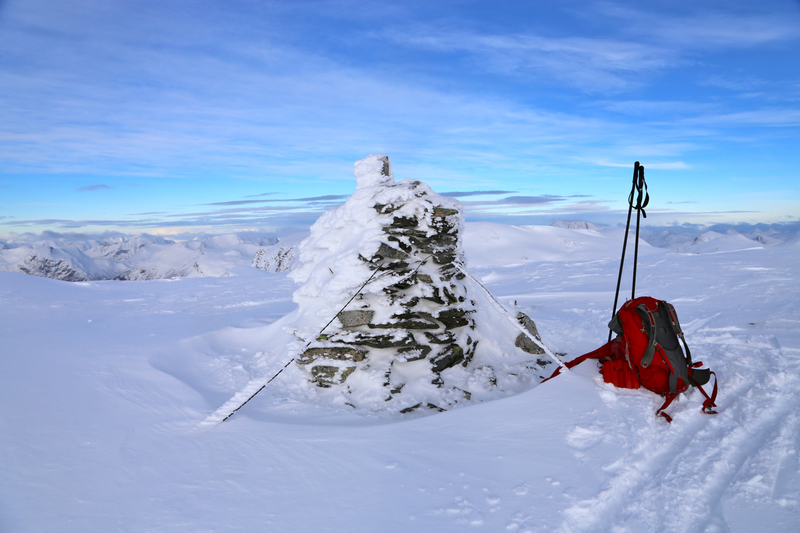 Note that the cairn is located very close to a steep face having overhanging snow cornices. I left Bergen in the afternoon and arrived at the trailhead around 2100. The temperature read -16C in the evening, -17C the next morning. 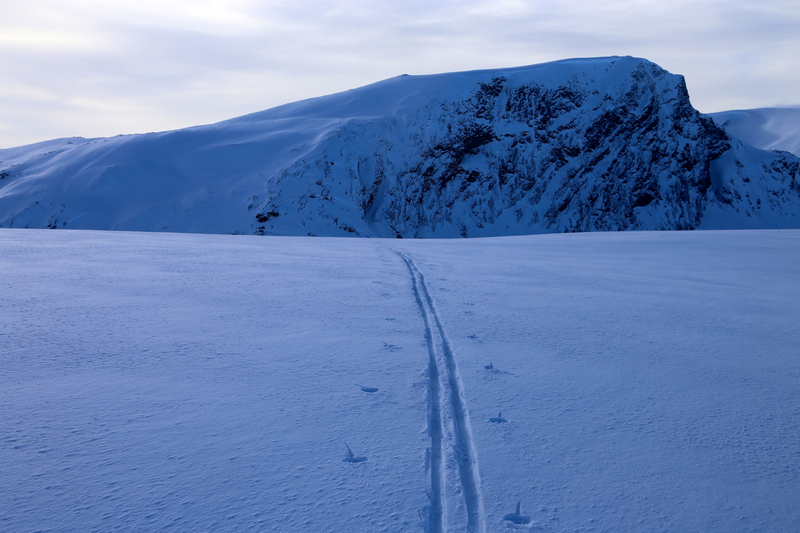 Aside from the temperature being a bit on the cold side, the conditions were near perfect, no wind and good snow. I left around 0745 and had a good ski, first along the snow buried Hwy. 63. Next, up easy slopes to the col at about 1150 meter before lake Kolbeinsvatnet. 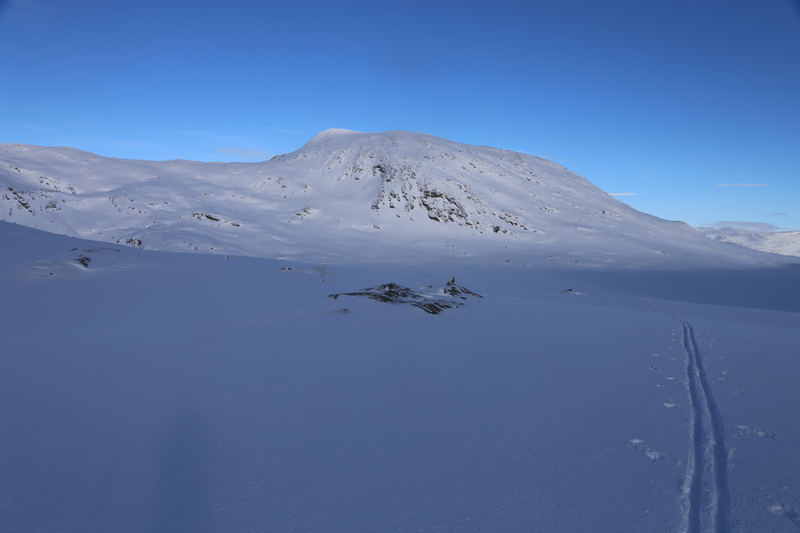 This lake is pretty large and it took some effort to break trail in fairly deep snow across to the north-east. I decided to ski the east side since the west side looked slightly steeper. Skiing up to the east ridge was again very nice. 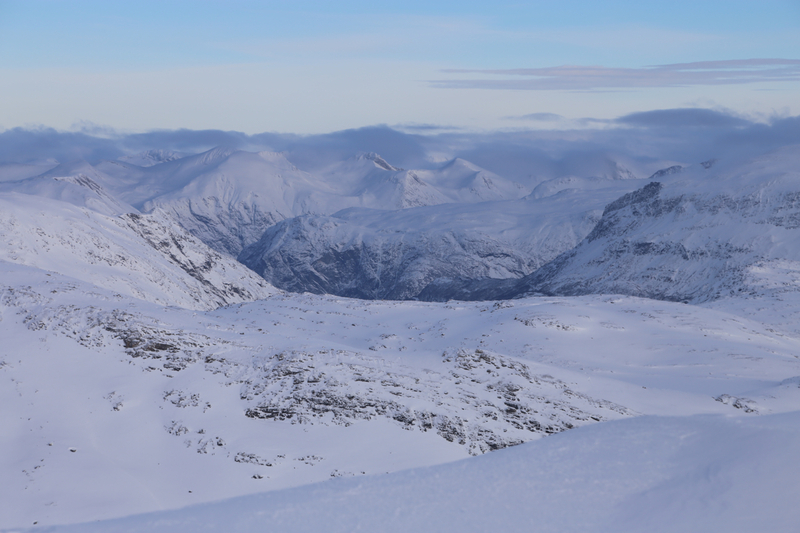 My first attempt to stay north on this ridge was obviously not a good choice, but traversing left to complete the ascend on the south side was easy. 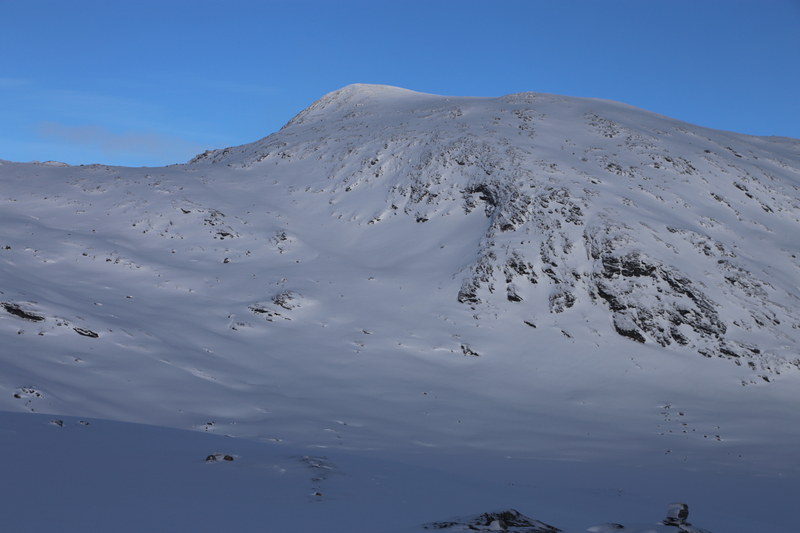 The last part of this ascent is again on very gentle terrain that terminates at the cairn. I was there at 1100, a slight breeze and temperature near -20C, made me minimize the stop. Some pictures and a GPS reading, I left after approximately 15 minutes. The ski back down was nice and easy, temperatures near the end felt almost warm. However, the car showed -14C when I was back at 1300. 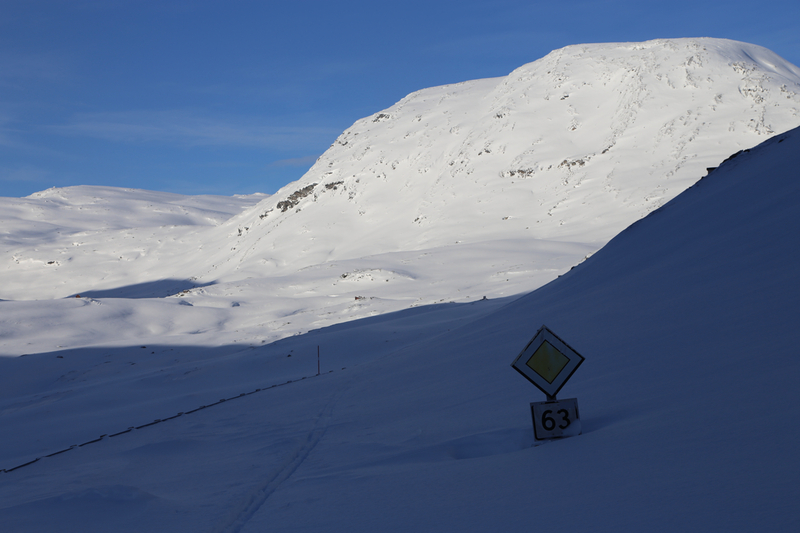 I next drove down to Stryn, then the narrow road to Flo, preparing for my attempt to ski Stolhyrna on Sunday. 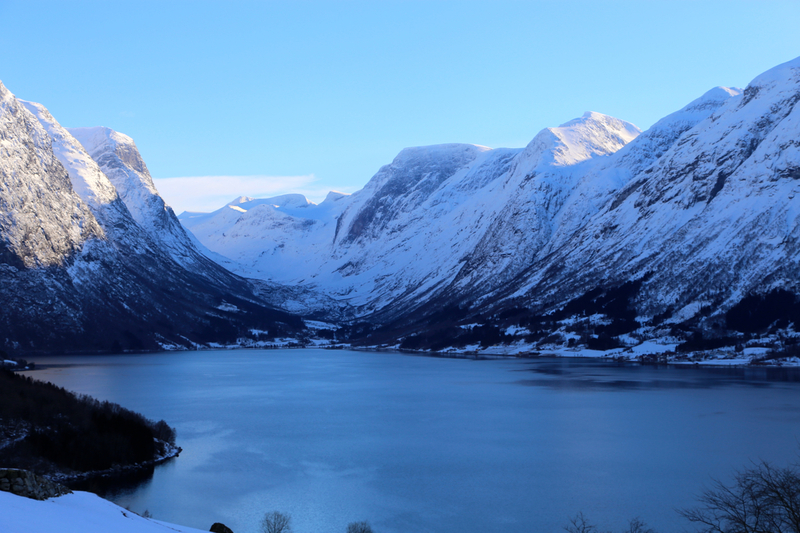 The view across lake Oppstrynsvatnet was quite nice from this side of the lake.